While relations were good between Israel and the Shah’s regime until the Iranian revolution – and the Independent journalist, eager to show Israel in the worst possible light, is careful to emphasise that the Jewish state propped up the repressive machinery of the Shah’s regime – Iran is the only state openly committed to the destruction of what it calls the Little Satan. Even its freely proclaimed Holocaust denial proved too much for the cowed Jewish community, whose erstwhile leader Haroun Yashayaei felt compelled to remonstrate with President Ahmadinejad in 2006. Under the so-called ‘moderate’ President Rouhani, the regime has toned down its desire to exterminate Israel as a centrepiece of public diplomacy. But the regime still runs distasteful Holocaust cartoon contests aimed at proving that the Israelis are the new Nazis in their treatment of the Palestinians. Sengupta overstates the ‘reformist’ nature of the present Iranian regime, which remains ideologically committed to spreading Islamist revolution. Great changes are about to happen in Iranian politics and history, Sengupta announces brightly: the nuclear deal (billed as a personal failure of Netanyahu’s campaign – never mind that Iran’s nuclear threat had Saudi Arabia and the Gulf states quaking in their boots) ushers in a new post-sanctions era of prosperity. 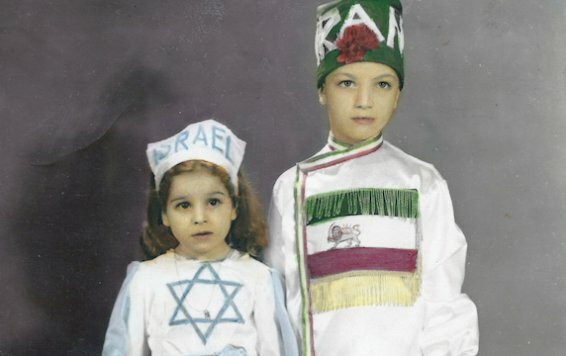 “Iran is a place where Jews feel secure and happy,” the article tells us. Of course the Jewish community fares much better than the Baha’i, not protected under sharia law, and the Assyrian Christians, whose church property has lately been sequestered. The Jews are allowed to practise their religion in freedom, as long as they eschew any connection with the Zionist entity, a crime punishable by death, and submit to discriminatory sharia law. Jews are left to run their businesses unmolested and are even looking forward to the economic bonanza which Iran will enjoy when sanctions are lifted. The community’s mouthpiece, the one Jewish MP, Siamak Morsadegh, is more than happy to do the regime’s bidding. Sengupta would have almost certainly had a minder breathing down his neck – an experience which another journalist has described as ‘causing anxiety and fatigue’. Neither does Sengupta mention that secret service police infiltrate every communal gathering, and ‘phones in Jewish homes are bugged. The lies and half-truths keep coming thick and fast. ‘There are not more Jewish MPs because they are not interested in politics’ (a lie – all minorities are limited to one MP). ‘Iranian Jews are free to leave’, Morsadegh tells us, omitting to mention that the rest of the family are kept as hostages. The small matter of unequal ‘blood money’ where the lives of Jews are worth less than Muslims, has hardly been solved – insurance companies have been made to pay the difference in traffic accidents! The article also does not mention the inheritance laws that favour a convert to Islam over his Jewish siblings. These iniquitous rules continue to wreak havoc in families. The next lie Sengupta serves up is that Iran’s Jewish population is growing. Last time I looked, the official census results had reported just over 8,7 00 Jews, a fall of 90 percent over the 1948 figure. The regime appears to be echoing President Putin’s call for Jews to come to Russia, a haven from western European antisemitism. Unbelievably, the Ayatollahs’ regime is also trying to present itself as a haven for Jews in Europe (anti-Semitism in Europe is never caused, we are told, by Shia Muslims!). Enter Arik, an Iranian Jew in a shiny suit who wants to persuade his brother to come back to Iran from France. Arik will be perfectly placed to reap the fruits of the post-sanctions era. All the Jews Sengupta meets have returned to Iran from stints abroad. The Independent journalist then furnishes us with a potted history of Iran’s Jews. Theirs is an ancient community dating back to the Babylonian exile in 586 BCE. But Sengupta fails to mention that the Persian king Cyrus the Great was the first Zionist: he permitted the Jewish exiles to return to Jerusalem. There is no mention that over the centuries Persian Jews suffered a dhimmi status of impoverishment and degradation, were considered ‘unclean’ (najas) by Shia Islam, confined to ghettoes and subject to forced conversions, such as occurred in the 19th century to the Jews of Mashad. It is an astonishing phenomenon that western journalists leave their critical faculties at the door when they write about the treatment of minorities by autocratic regimes. Independent readers will remain blissfully ignorant that the Jews of Iran are both instruments of regime propaganda and vulnerable hostages to the Israel-Palestine conflict. Gullible Western journalists are no better than puppets in a Purim spiel. Here the spiel is the Iranian regime’s Public Relations campaign, paving the way for western tourism and trade.